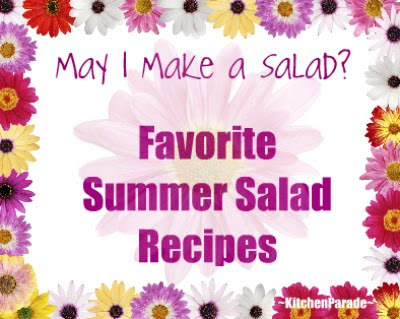 Favorite Summer Salad Recipes <br/> Yay, It's Salad Season Again! Yay, It's Salad Season Again! Bring on the summer salads! I've collected my favorite summer salad recipes all in one place. Mostly, they're great salads for the fridge, for potlucks, for quick lunches. Keep at least one handy all summer long and supper will be quick to the table. Updated every year with new recipes! Summer Salads for Blueberry Lovers! Oh, I would love to try the summer lentil salad. I'm not sure I've ever had lentils!